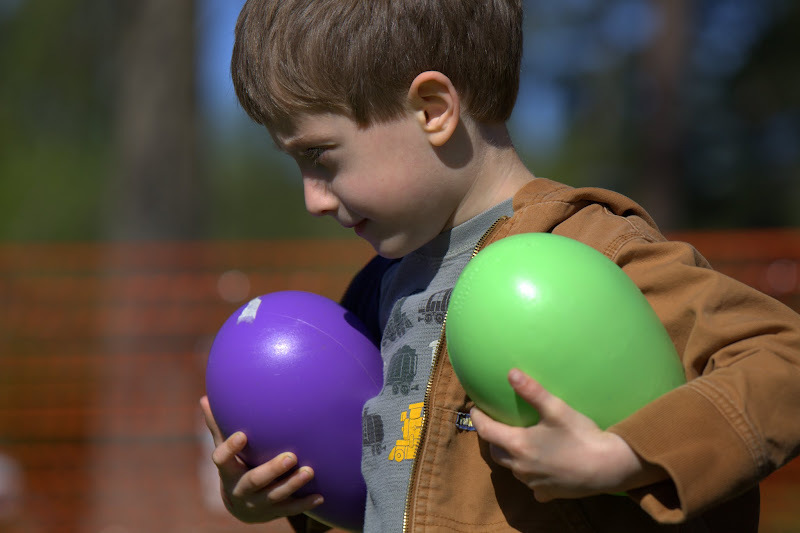 - Robert went for the big eggs at the Eater egg hunt at Kempsville Baptist Church in Virginia Beach today. They told him he could only get 12 eggs, so he figured the bigger the better. Thant's Grandpa's boy! Canon 5D Mark II, 1/2500 sec @ f/5.6, ISO 400, 70-200 zoom at 180mm focal length.